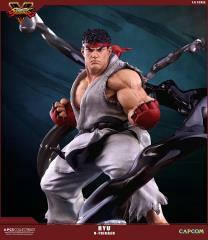 Perhaps the most versatile fighter in the Street Fighter franchise, Ryu has the tools to fight his way out of almost any situation. His moveset is so iconic, it's lexicon has become part of global popular culture. 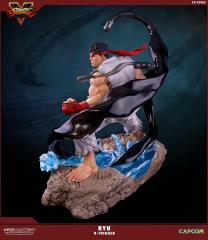 People who have never stepped into an arcade have heard the "Hadoken!" scream. 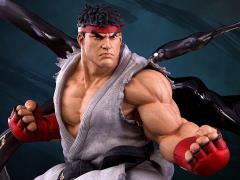 When development began on Street Fighter V, Capcom decided to shake things up. If they could introduce a new element to the franchise's fighting system, it would intensify the challenge for veteran players used to meting out damage with a well-time Metsu Shoryuken combo. 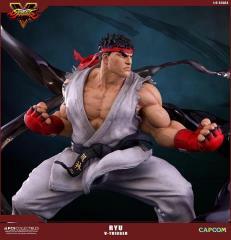 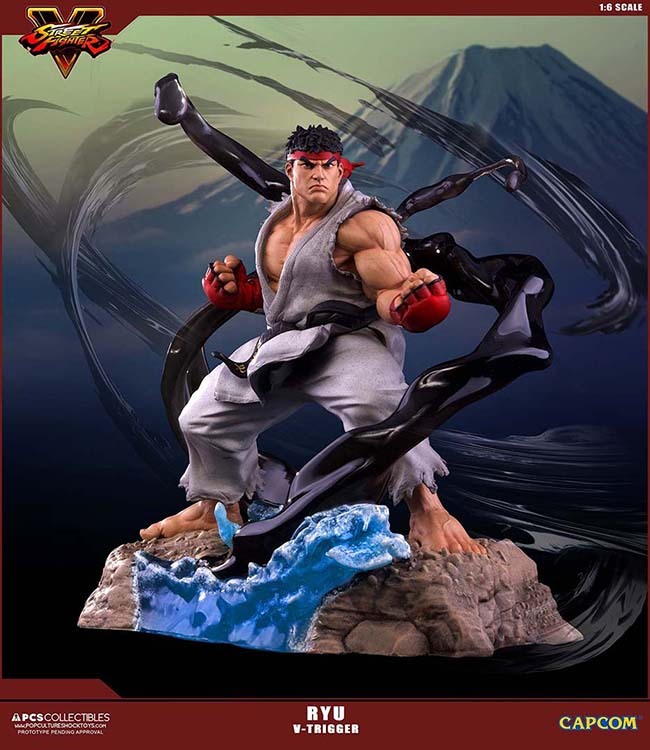 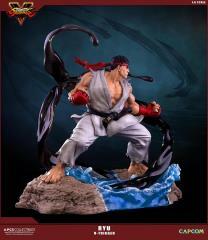 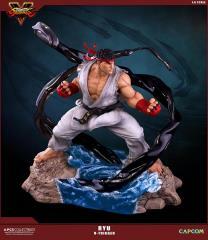 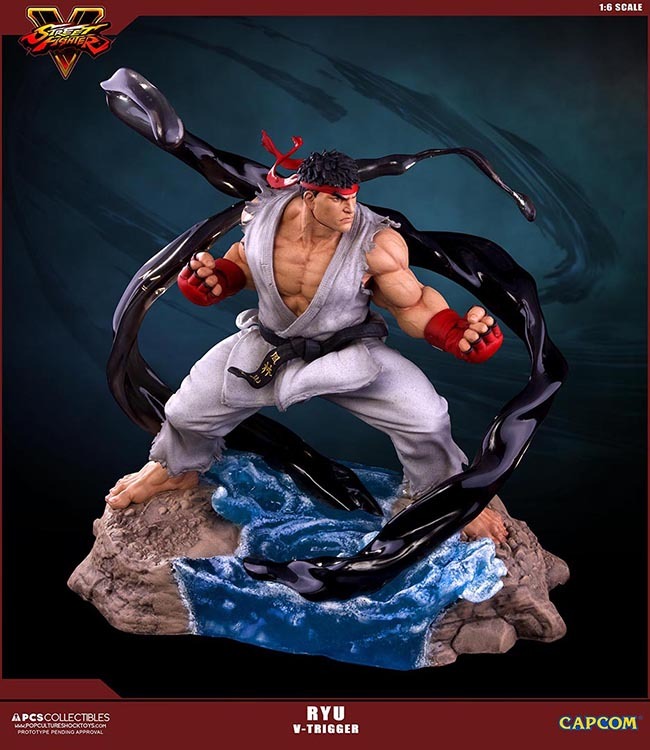 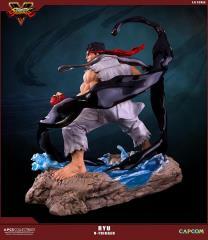 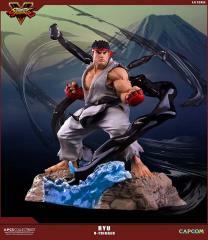 Using the Capcom supplied in-game character model for total accuracy, the craftspeople at Pop Culture Shock Collectibles have made their first 1:6 Ryu statue the most imposing and powerful to date, looking more like pixels and sprites than paint and polystone. As designed by renowned Street Fighter artist Edwin Huang, his dynamic swirling base is somehow the V-Trigger made manifest.